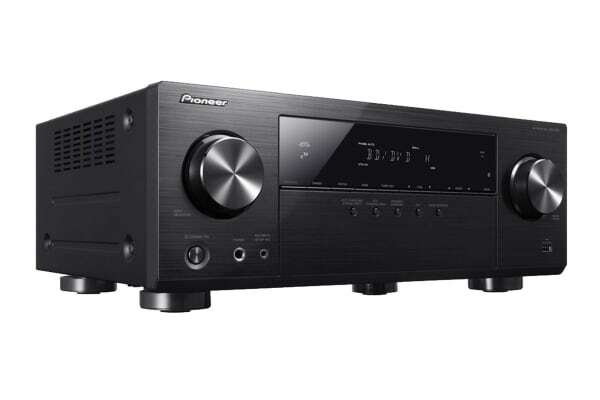 The Pioneer 130W 5.1Ch Receiver Bluetooth is an ideal centre piece for creating your own home cinema system. 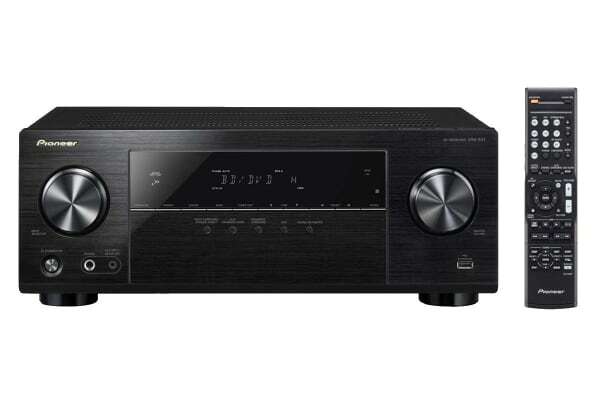 Featuring 4 HDMI inputs and Ultra HD (4K/60p/4:4:4) pass-through with HDCP 2.2, the Pioneer 130W 5.1 Channel AV Receiver with Bluetooth (VSX531) supports the latest video standards HDR. Enjoy audio streaming from compatible devices with the built-in Bluetooth Wireless Technology. 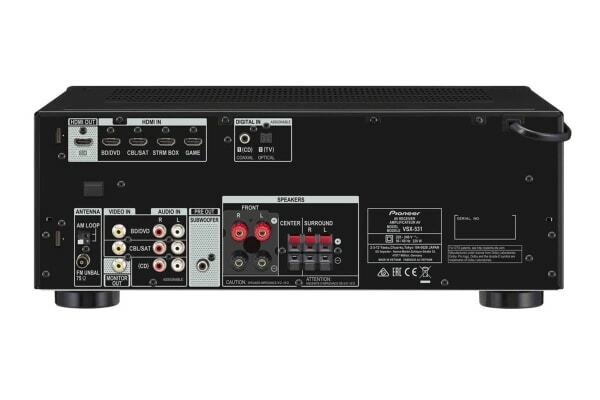 Pioneer’s MCACC and Phase Control provide synchronised sound for a realistic and dynamic performance. Often, speakers for surround sound can’t be ideally positioned. MCACC analyses the existing sound field using a microphone (included), just like a sound professional. It then adjusts each speaker’s virtual size, level, distance and response to precision-tune the system to your room. Experience digitally stored music as close to the original as ever before. This device supports formats beyond the CD standard of a 44.1 kilohertz sampling rate and a depth of 16 bit. Experience WAV and FLAC files in real studio quality with resolutions of up to 192/24! This device also plays the Direct Stream Digital (DSD) format used on super audio CDs, with a sampling rate of up to 2.8 megahertz. Easily stream songs from compatible devices using the built-in Bluetooth wireless technology! This AV receiver features A2DP and Audio/Video Remote Control Profile (AVRCP). Supported codecs include SBC, AAC and aptX.